Create your own customized buckle at home with one of my blank buckles - or go with it as is! You can put in your own image, and I'm happy to take you through the steps if you need help/advice. 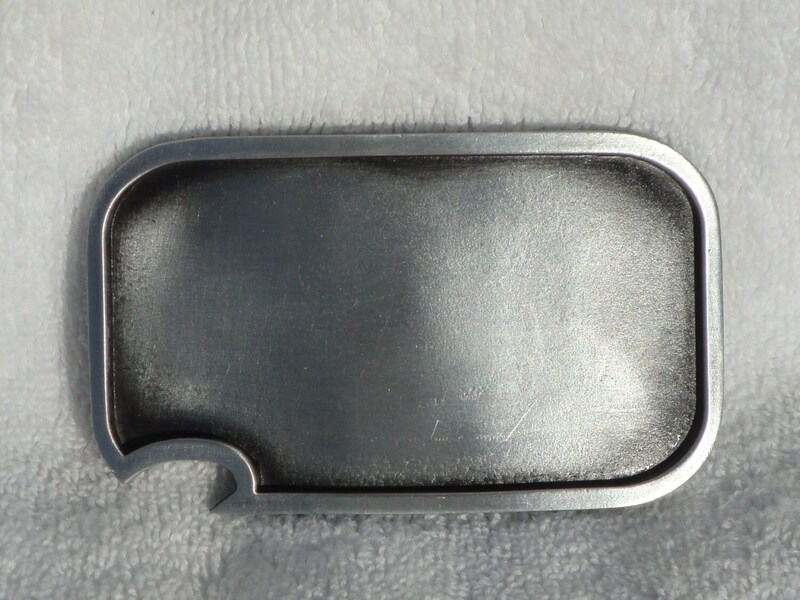 The buckle is 3.5" long x 2.25" tall and is made out of zinc by a US/Canadian factory, based on my own design. I cut out images by hand and resin over them for a durable, customizable buckle. The custom buckle looks fabulous! I can't wait to gift it on Christmas. Great customer service and fast shipping. Thank you! Bought a belt buckle for my husband for his birthday. He loves it.